Tired of Trump? Congress can impeach him. But they won’t do anything unless you actually do something. Doing something does not mean signing an online petition. Donating to Bernie Sanders’ Our Revolution is nice, but your cash can’t depose the oligarchs. Doing something does not mean voting Democratic; both parties are beholden to corporations who demand business as usual. It doesn’t even mean supporting progressive Democrats in primaries against incumbent corporate Democrats; incumbents almost always win. Doing something effective requires you to become a clear and present danger to the system and the people who run it. Doing something that might change the fundamental nature of the system requires you to risk prison, injury and death. Doing something demands that you operate outside the system. It means taking it to the streets. By itself, filling the streets with people and signs and chants isn’t enough. Tame street protests are doomed to failure. If you file for a parade permit or let the police pen you up in a ridiculous “free speech zone” or promise that you’ll be nonviolent no matter what, your street protest will be drowned out by the clinking of glasses and the popping of champagne corks in the salons of the ruling classes. It won’t matter whether you go home quietly or leave screaming in a paddy wagon. Many Congressional Republicans still support the president. They’ll only change their minds if they face irresistible political pressure. Others would be open to supporting Trump’s removal if a groundswell of public opinion provided them with the requisite political cover. The vast majority of Americans think Trump is doing a lousy job — and that includes many people who voted for him. Forty percent favor impeachment — and that number will continue to grow as he deports children and recklessly ramps up the risk of nuclear war. That’s tens of millions of Americans. But those tens of millions are powerless. They’re sitting on their butts, waiting for someone else to do something. The urban protests of the 1960s and 1970s were unsettling and frequently disintegrated into disturbing acts of violence, as seen during the running street battles between activists and the Chicago police during the 1968 Democratic National Convention and the shootings of students by Ohio National Guardsmen at Kent State. Since the late 1970s the streets have been calm, except for such episodes of periodic political violence as the 1992 L.A. riots and the Battle of Seattle over globalization in 1999. In recent years lefties expressed pride in the fact that large protest demonstrations like the 2002-03 marches against the invasion of Iraq, the anti-Trump Women’s March and the 2011 Occupy Wall Street movement were so studiously nonviolent that organizers deployed “peace police” to separate potential troublemakers from the cops. It is no coincidence that the American Left hasn’t won a major policy victory, or that no Democratic president has proposed a major anti-poverty program, since the 1970s. Without pressure from the Left, the country has steadily moved right. 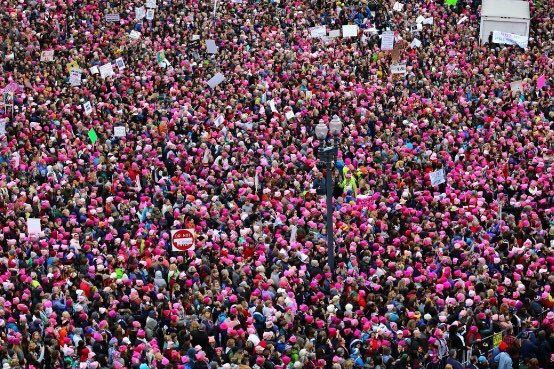 “We could have large-scale marches for every year of Trump’s presidency. It would do nothing!” says Micah White, best known for his role in OWS. Street protests have been ritualized, stripped of their drama, and thus defanged. The Left has embraced a cartoonish militant pacifism that goes far beyond Gandhi (who wasn’t really against violence). Violence hasn’t disappeared. Now the authorities have a monopoly on violence. They operate with impunity against dispossessed people. The authorities have militarized local police forces. They’ve murdered countless people of color, spied on our emails and phone calls, and even declared the right to use drones to blow up U.S. citizens on U.S. soil. Street marches in the U.S. have become empty exercises, unguided support groups to make leftists feel better about themselves because they’re not alone. But that’s not how they started. Historically, street protests were scary. They were carried out by angry mobs. There weren’t any speeches. These were riots. Drunken people ran around breaking and stealing things. The chaos ended in one of three ways: the rioters got tired and went home, the lord of the ancient and medieval city where the riot occurred had his soldiers kill the rioters, or the ruler so feared the complete destruction of his fiefdom — and for his own life — that he gave in to the rioters’ demands. What makes violence, or more precisely the willingness to be violent, a useful tactic is that it isn’t necessary to kill anyone or break anything every time you want something. You don’t need actual violence to exert pressure against your enemy — you need the credible threat of violence. What makes that threat credible is the memory of a fairly recent act of actual violence. France and the U.S. both have nukes, for example. But only the U.S. has ever been crazy enough to use them. Which country scares other countries more? Consider the countervailing example of the Unite The Right white supremacist rally in Charlottesville. There weren’t that many racist attendees — fewer than a thousand. But they showed up with weapons, including assault rifles. One murdered a woman with his car and injured others. 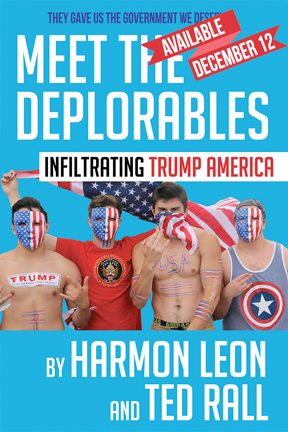 That violence gives the next alt-right rally a credible threat of violence and guarantees that the event will be taken seriously by the authorities and thoroughly covered by the news media. I am not suggesting that progressives show up to their next anti-Trump march toting AR-15s, or that leftists should kill or injure anyone. That’s not who we are or what we’re about. We oppose Trump and the capitalist system precisely because they are violent and we loathe violence. My message is more subtle: march peacefully. But don’t follow the rules. Don’t apply for parade permits. Don’t stay on the sidewalks when the police tell you to. And don’t promise not to break anything. Power never yields unless it’s scared. 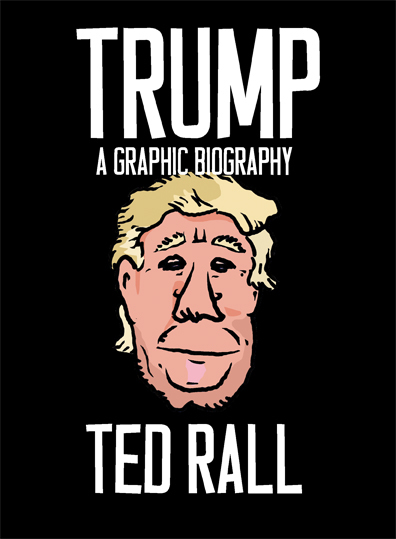 This entry was posted in Blog, Columns and tagged demonstrations, Donald Trump, nonviolence, Politics, Protests, Riots, Trump, Violence on September 11, 2017 by Ted Rall. It’s a little rich to watch the US â which routinely uses tear gas and pepper spray to crush peaceful protests (which are cordoned behind razor-wired “free speech zones” â protest the use of chemical weapons, and the crushing of political dissent â in Syria. 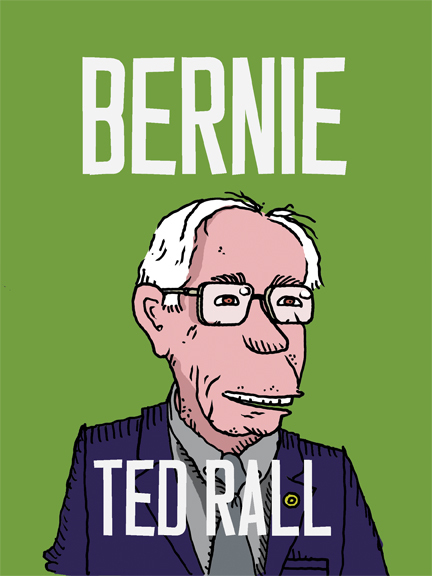 This entry was posted in and tagged demonstrations, free speech zones, middle east, militarism New, Obama, Occupy Wall Street, pepper spray, Police Brutality, Protests, Syria, tear gas, white house on September 9, 2013 by Ted Rall. What Do We Want? Basel III! Pundits suggest arcane inside the Beltway BS to purist anti-capitalist protesters, and comedy ensues. This entry was posted in and tagged anesthethized, antimarket, Basel III capital requirements, Beltway, Capitalism, ccupy Wall Street, Economy, Jargon, newspapers, Nicholas Kristof, Obama, Protests, pundits, Recession, Revolution, The New York Times, Volcker rule on October 14, 2011 by Ted Rall.